Repairs for damaged floors often cost less than replacing your entire flooring at home, and you should expect to spend $337 on average for this project. The usual price ranges between $186 and $497 depending on several factors. Some of these factors include the cost of labor, type of damages, and floor area that will determine the actual cost of repairs. Some additional services will also add to the total bill, such as refinishing and concrete sealing. In Utah, homeowners should only consider a replacement when the damages happen due to flooding, chemical or structural causes. Repairs for hardwood floors are among the most expensive with prices per project costing up to $650. It would only be cost-efficient to repair hardwood flooring if you plan to sell your home, as it enhances your home’s resale value. Otherwise, it may be better to install new flooring since hardwood repairs are sometimes more expensive than a replacement. On the other hand, repairs for damaged vinyl flooring are among the cheapest among different types. You could spend as low as $100 each time you need something fixed, granted that the problem is not too extensive. Loose seams, cracks, and scratches comprise some of the common problems, although vinyl seldom requires repairs with proper maintenance. Tile flooring repairs could be the most expensive despite being a durable and low-maintenance choice. You may have to spend up to $700 per job to fix stains, broken tiles, cracked grout, and cracks among other problems. It is also difficult to replace tiles, which are prone to damage except for porcelain types. If you are thinking about replacing it with concrete flooring, there are some things to keep in mind. Concrete has poor insulating quality that is not a good choice if you live in a place with harsh winters. You should consider other choices unless you install it with a heating system. Despite these drawbacks, concrete remains a good choice for homeowners who want a longer-lasting floor. The availability of different designs also mean that homeowners no longer just use cement flooring for garages and patios. Polished concrete can also be a great choice for bathrooms and kitchens. Always remember to ask your contractor to apply the right amount of sealant since moisture can easily seep through concrete. You should also seal or wax floors once every nine months, or more frequently depending on the foot traffic in a certain area. 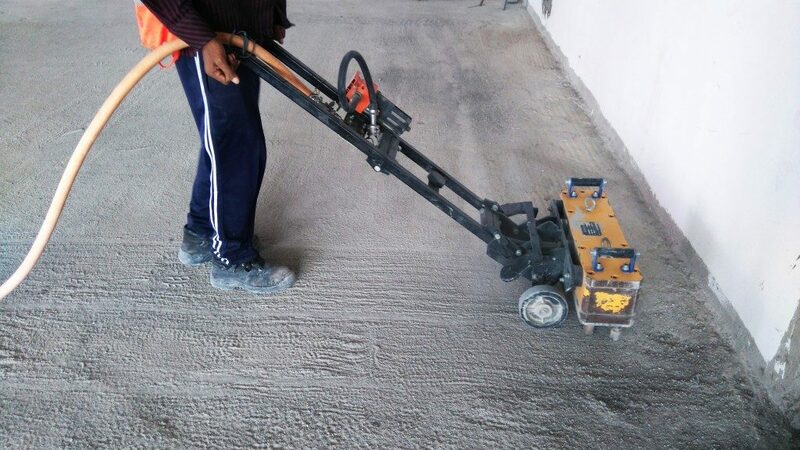 Concrete sealing also prevents stains and marks. If you are worried about slippery floors, textured concrete should be used on bathrooms and kitchens. Flooring repairs are not a DIY project, so you should consult a professional especially if you are dealing with a major problem. When choosing a contractor, ask whether they use the newest equipment and if they specialize on certain problems. It is also helpful to know if your chosen contractor is skilled in handling issues with flooring caused by dry and hot weather.